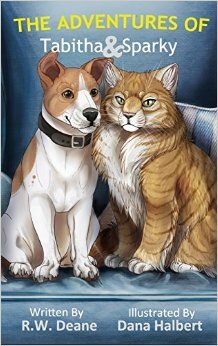 This is a delightful story of the unlikely friendship between a cat and a dog. A story comprised of poems and adventures. Tabitha is a very curious cat, always eager to find out about things that are often none of her business, which continually gets her into trouble. Sparky, on the other hand, is more sensible and reliable, and between the two of them they share many adventures which teach life long lessons. Credit: R.W. Deane. This book has not been reviewed.